Yeah last month's plan didn't work out the way I wanted it to. I did clean up quite a few of my Blog Tour books (I'm super proud of myself for that) but I didn't really stick with the theme, because as soon as I set it up I didn't feel like reading any of the books on the list. Le Sigh, I'm trying I swear. So this month is going to be different. This month is going to be short due to BEA being at the end of the month. And I know from experience I'm not going to get anything read that week. I'm going to simply pick 10 books from this list, they can complete multiple items off the list. 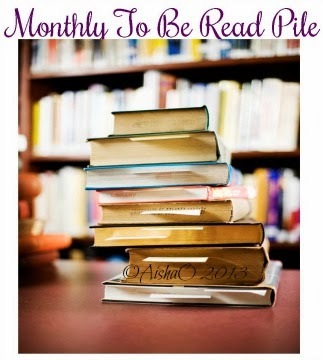 In () are the books I want to try to read, what happens at the end of the month is anyone's guess. 5 books from my shelves. The letter for this month is "B" can be the title or the author's name. And I can read anything from last month's list that catches my eye. I think I have made it broad enough not to be bored. What's on your list this month?? Anything interesting? ?